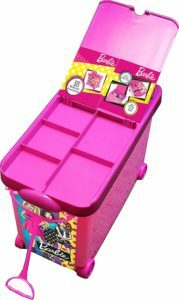 Barbie Store It All – Pink is now available at Amazon.com for just $24.99 (REG $62.99) (As of 08 February 2019, 12:17 PST – Details) with $38.00 (60%) Savings. A durable storage case designed to fit in your closet or roll in the house. 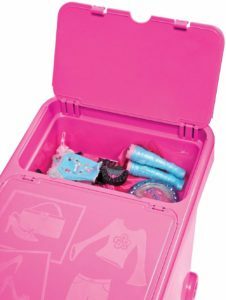 The main compartment of the case stores over 20 Barbie dolls, fashions, playset accessories and more. Perfect accessory to a little girl’s Barbie collection. Mom’s perfect answer to the mess and disorganization of her daughter’s doll collection. Wheels and handle allow girls to bring the case all around the house. 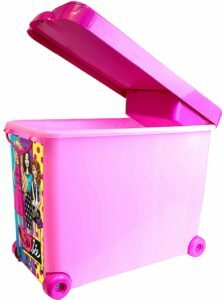 Ideal storage for all of your Barbies, Barbie’s clothes and Barbie’s shoes. 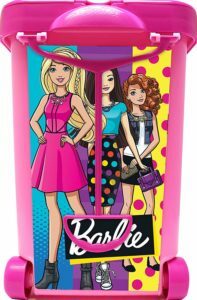 A must-have for every Barbie doll fan.